Childhelp is honored to have the support of its many Celebrity Ambassadors who utilize their skills, talent and voices to help bring an end to the child abuse epidemic. Many of the committed celebrities supporting the cause have been involved with Childhelp for over 30 years, and we thank them for their dedication. There are many ways that you can make a difference in the fight against child abuse, through donations & gifts, volunteer & fundraising opportunities, or by spreading the word. Bailee Madison is a child actress known for her feature film roles in Bridge to Terabithia, Don’t Be Afraid of the Dark, Just Go With It and Brothers and Conviction. She has been featured on numerous television series including Once Upon a Time, Law & Order: Special Victims Unit, Wizards of Waverly Place and several Nickelodeon productions. Bailee’s new film, Parental Guidance is due out in December. As a Childhelp celebrity ambassador, Bailee co-hosted the Childhelp 2012 Wings Fashion Show Luncheon in Scottsdale, Arizona. Bailee is excited to continue supporting the work of Childhelp through future events and social awareness on Facebook. Ambassador Since: A long time ago! Betty White is a film and television actress with a career spanning seven decades. Betty is perhaps best known for her roles in the sitcoms The Golden Girls, The Mary Tyler Moore Show and Mama’s Family. Betty made many appearances on the hit game show Password, where she met the show’s host, Allen Ludden, whom she married in 1963. Currently, Betty is starring in two shows, Hot In Cleveland and Betty White’s Off Their Rockers, where senior citizens play practical jokes on the younger generation. 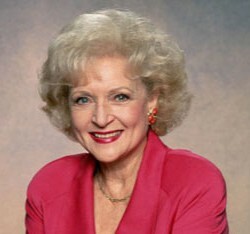 Betty has won seven Emmys and three American Comedy Awards (including a Lifetime Achievement Award in 1990). She was inducted into the Television Hall of Fame in 1995, has a star on the Hollywood Walk of Fame, and in 2010 received the Screen Actor’s Guild Lifetime Achievement Award. For more than 50 years, Betty has advocated for the welfare and humane treatment of animals and children. Betty has been and remains a treasured friend to Childhelp. 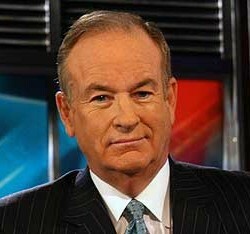 Bill O’Reilly is a television host, syndicated columnist, author and political commentator. He is the host of The O’Reilly Factor on the Fox News Channel, which is the most watched cable news program on American television. Bill has written ten books, including a personal memoir called A Bold Fresh Piece of Humanity. He most recently wrote and released Killing Kennedy. Bill has been a recipient of Childhelp’s Positive Impact in Media Award at Childhelp’s Drive the Dream Gala in Scottsdale, Arizona. He consistently supports our programs and often mentions, on air, Childhelp’s National Hotline when relevant. Co-founders Sara O’Meara and Yvonne Fedderson have been guests on The O’Reilly Factor. Click here to watch Bill O’Reilly encourage his viewers to get involved with Childhelp and help children that may be at risk for abuse and neglect. 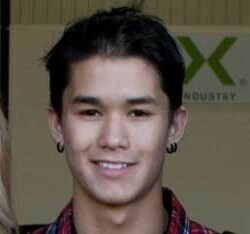 Booboo Stewart is an actor, singer, dancer, model and martial artist. He is best known for his role as Seth Clearwater in the mega-hit feature film series Twilight Saga: Eclipse, Breaking Dawn Parts 1 and 2. He has also appeared on numerous television series such as Dante’s Cove, Everybody Hates Chris, Good Luck Charlie, CSI: Miami, ER, and hosted six episodes of the children’s show Blue Dolphin Kids. He has toured with Miley Cyrus and the Jonas Brothers, and performs in a band with his sisters Fivel and Meghan. Booboo has been involved with Childhelp since 2011 and has joined forces with his sister Fivel to co-host numerous free concerts to support Childhelp in ending child abuse. Booboo uses his celebrity status through Twitter, Facebook and media appearances to help raise awareness about our mission. Brianna Kahane labeled a prodigy, 10-year-old Brianna Kahane was recently named one of “Oprah’s All-Time Smartest, Most Talented Kids.” Her television appearances include The Ellen Degeneres Show and CBS Evening News with Katie Couric. She has been hailed by 15-time Grammy winner David Foster as “one of the next big talents.” Brianna currently attends The Julliard School in New York City and has recently performed for Reba McEntire, Steve Martin, Jordin Sparks, David Archuleta, Donald Trump and numerous others. As one of Childhelp’s youngest celebrity ambassadors, Brianna has performed during the 2012 Childhelp National Day of Hope Luncheon and the Childhelp Capitol CAREaoke events in Washington, DC. Buckcherry is a rock band from Los Angeles, California which was formed in 1995. The band’s first two albums were released in 1999 and 2001. They released their fifth album All Night Long in 2010, which debuted at #10 on Billboard’s Top 200 and was the #1 Rock debut. 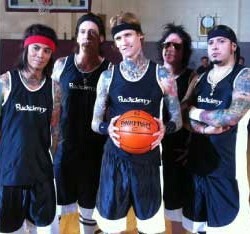 Buckcherry’s sixth album Confessions will be released in September 2012. Buckcherry has been involved with Childhelp for the past two years. Lead singer, Josh Todd, wanted to become involved with Childhelp since he, himself, was a victim of child abuse. The band has given proceeds from several of their concerts to Childhelp and most recently co-starred in a Childhelp PSA with Betty White, Shaquille O’Neal and Childhelp founders Sara O’Meara and Yvonne Fedderson. Cheryl Ladd possessing an effervescent personality and embodying the beauty, grace, class and charm of old Hollywood, it’s no wonder Cheryl Ladd remains one of Tinseltown’s favorite actresses. Since her big break as one of the beloved Charlie’s Angels, Ladd’s career has traversed television, film, and Broadway, and the beautiful actor-singer-author is still very much a triple-threat! Starring on Broadway in Annie Get Your Gun, numerous guest appearances on The Rookies, The Partridge Family, Happy Days, Carol Burnett Show, The Muppets, CSI Miami, Vegas, NCIS, and more than 30 made for TV films, with a recent film wrapped in Capetown, South Africa, Cheryl continues to traverse easily through all mediums. Cheryl Ladd has been involved with Childhelp for over 30 years, and was an esteemed recipient of the Childhelp Woman of the World Award. 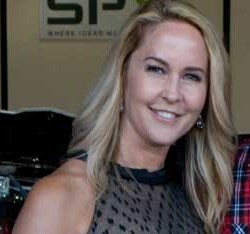 Erin Murphy is best known for her role as Tabitha on the top-ten television sitcom Bewitched. She has also guest starred on Lassie, appeared in over 100 commercials, and is a motivational speaker. Erin has hosted and is a correspondent for TV Land, E! and the FOX reality channel TVGasm.com. She is also a fashion, beauty and luxury lifestyle writer, with her work appearing in numerous magazines. A Childhelp Celebrity Ambassador since 2011, Erin has hosted Childhelp’s Orange County Drive the Dream Gala, the Winter Wonderland luncheon and boutique in Los Angeles, and attended the children’s Christmas program at Childhelp’s Merv Griffin Village. Erin continually attends Childhelp events to show her support for our mission. Fivel Stewart has worked in the entertainment industry since the age of seven. She is an actress, gifted singer, and two-time karate world champion. She has performed with the musical group My Allowance and is currently finishing a debut CD along side her siblings, Booboo and Meghan. She was recently in the independent film White Frog, and is currently in discussions with the HUB Network to develop a new TV show. Fivel has been involved with Childhelp since 2011 and has joined forces with her brother, Booboo, to co-host numerous free concerts to support Childhelp in ending child abuse. Fivel uses her celebrity status through her website, Twitter and Facebook pages to help raise awarness about the work of Childhelp. Jane Seymour British born, award-winning actress Jane Seymour has appeared on Broadway, in film, and on television in her Golden Globe-winning role as “Dr. Michaela Quinn” on Dr. Quinn, Medicine Woman, among many other roles. Seymour’s past films include the James Bond movie Live and Let Die, the now cult classic Somewhere in Time, and the comedy smash hit Wedding Crashers. Her other television credits include an Emmy Award winning performance in Onassis: The Richest Man in the World, East of Eden, for which she won a Golden Globe, and the mini-series War and Remembrance. Jane has a star on the Hollywood Walk of Fame and was “Special Correspondent” for the Royal Wedding of Prince William and Kate Middleton. In Jane’s spare time, she was a celebrity contestant on Dancing with the Stars where she partnered with another Childhelp Celebrity Ambassador, Tony Dovolani. Jane has been involved with Childhelp for more than 30 years and has received Childhelp’s Woman of the World award. Jen Lilley is currently starring as a lead role in NBC’s Days of Our Lives and previously starred as Maxie Jones on ABC’s General Hospital. Her film credits include the Academy Award-winning movie, The Artist, The Back-up Bride and One Small Hitch. She has also guest starred on numerous television series including Criminal Minds, Two and a Half Men, Castle, Hannah Montana and Rules of Engagement. Jen attended the Childhelp National Day of Hope luncheon in Washington, DC, and the Childhelp Wings Fashion Show in the spring of 2012 as a celebrity guest. Jen is instrumental in raising social awareness about child abuse through her Twitter account, and recently has raised funds for Childhelp through a social media birthday campaign, and Stars Strike Out Child Abuse, a celebrity bowling tournament. John O’Hurley Actor, singer, author and philanthropist, John O’Hurley is one of television’s busiest and most versatile stars. Best known as “J. Peterman” on Seinfeld, he has appeared on television sitcoms, soap operas, feature films and live theater. John is a New York Times Bestseller author with his book, It’s OK to Miss the Bed on the First Jump: And Other Life Lessons Learned from Dogs and was also a contestant on the first season of Dancing with the Stars. Outside of the entertainment industry, he is an entrepreneur and Renaissance man. Life truly imitates art for him, as he is the real John Peterman’s business partner and part owner of the J. Peterman Company! He is also a private venture capitalist and co-founder of Energy Inc., a company dedicated to facilitating clean, green energy production. John has been involved with Childhelp for a number of years, always eager to support the prevention of child abuse through his talents and skills. 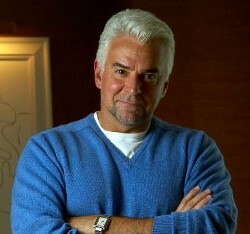 Click here to see John O’Hurley promote the Childhelp Run the Course. John Stamos is an actor, singer and musician, best known for his work in television on the ABC sitcom Full House. Stamos also starred in General Hospital, Jake in Progress, ER and Thieves and has performed on Broadway in Bye-Bye Birdie, Cabaret, Nine and How to Succeed in Business Without Really Trying. John plays the drums, keyboard, guitar, bass and various percussion instruments and has performed with the Beach Boys since the 1980’s. Most recently John has guest starred on Law & Order: Special Victims Unit, FOX TV smash hit Glee and Two and a Half Men. John has also been seen in a series of commercials for Dannon’s Greek Yogurt, with the first commercial airing during the 2012 Superbowl. John joined The Beach Boys for their 50th Anniversary Reunion Tour, and has taken the lead role on the new FOX drama Little Brother. 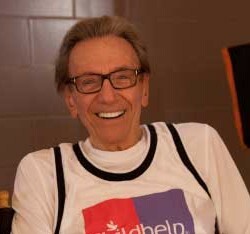 John has been an active and devoted Childhelp Celebrity Ambassador for more than 20 years. 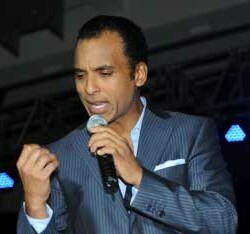 Jon Secada is a Cuban-American singer and songwriter. He has won two Grammy awards and sold over 20 million albums. Jon has had numerous top hits, platinum albums and has worked with countless artists including, Gloria Estefan, Jennifer Lopez, Ricky Martin and Mandy Moore. He has also performed with opera legend Luciano Pavarotti and recorded with Frank Sinatra. Jon has also starred on Broadway in the hit musicals Grease, Cabaret and Joseph and the Amazing Technicolor Dreamcoat. Jon became involved with Childhelp in 2012. He was the featured entertainer at Childhelp’s Celebrity Golf Invitational, and Childhelp’s Drive the Dream Gala in Michigan. Jon has a passion for helping abused children and has given back to Childhelp by donating guitars and VIP tickets to his concerts. Jordin Sparks is an American pop and R&B artist, songwriter and actress. At age 17 Sparks won the 6th season of American Idol. Her self-titled album spawned two top-ten singles on the Billboard Hot 100 –Tattoo and No Air. Sparks’ second album, Battlefield, reached number 10 on the Billboard charts. Sparks has won numerous awards including the NAACP Image Award, a BET Award, American Music Award, People’s Choice Award and two Teen Choice Awards. 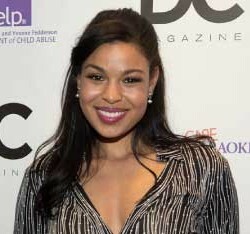 Jordin has made numerous appearances on several television series, starred on Broadway in In the Heights, and recently made her feature film debut in Sparkle. Sparks will soon be starring in her second film, The Inevitable Defeat of Mister & Pete. As a Childhelp Celebrity Ambassador, Jordin has brought joy to the children of Childhelp by visiting Childhelp’s Merv Griffin Village in California, and Childhelp’s Alice C. Tyler Village in Virginia. She spoke during our 2012 National Day of Hope awareness luncheon on Capitol Hill in Washington DC, and performed at Childhelp’s Capitol CAREaoke. Jordin chose Childhelp as her charity of choice as a Variety’s Power of Youth honoree, and has filmed a three-minute video featuring the work of Childhelp along with her I’m M.A.D. Are You? campaign. Click here to see Jordin’s visit to the Childhelp Merv Griffin Village in Beaumont. Kathie Lee Gifford is a television host, actress, singer, songwriter, author and playwright. She is best known for her 15-year run on the talk show Live with Regis and Kathie Lee. Kathie Lee has received 11 Daytime Emmy nominations and won her first Daytime Emmy in 2010. She has been seen on Name that Tune, NBC’s Today Show, The Insider and Good Morning America. Currently Kathie Lee is the co-host of the fourth hour of Today on NBC and will soon have the musical rendition of her play debut on Broadway, Scandalous: The Life and Trials of Aimee Semple McPherson (November, 2012). Kathie Lee has been involved with Childhelp as a celebrity ambassador for 20+ years. She is the spokesperson for Childhelp’s Speak Up Be Safe abuse prevention education curriculum. Kathie Lee has often appeared and spoken at the Childhelp National Day of Hope on Capitol Hill, and was a Childhelp’s Woman of the World award recipient. Kathie Lee often mentions Childhelp on Today, helping to raise national awareness and selflessly donates immeasurable proceeds from all of her children’s books and CD’s. Click here to see Kathie Lee Gifford talk about Childhelp National Day of Hope on The Today Show. Maksim Chmerkovskiy Ukrainian-American Ballroom dance champion, choreographer and instructor, Maksim Chmerkovskiy was born on January 17, 1980 in Odessa, Ukraine. Maks began dancing at the age of four and by his teenage years, his talent had taken him to a competitive level. He was introduced to television audiences in 2006, when he first appeared on ABC’s #1 hit television show, Dancing with the Stars. With a passion for teaching, Maks founded his first dance studio in 1997, Rising Stars Dance Academy (RSDA), located in Saddle Brook, New Jersey. The success of RSDA led Maks to launch one of the nation’s leading Latin and Ballroom dance studios, Dance With Me, which currently has four locations; Ridgefield, New Jersey, Long Island, New York, Stamford, Connecticut and New York City, New York. Maks has contributed his expertise and choreography skills to shows including Le Rêve – The Dream at Wynn Las Vegas, Broadway’s Burn the Floor and additional television spots. Maks is spearheading and implementing a dance-based Art Therapy program at Childhelp. 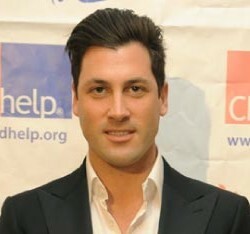 Click here to see Maks talk about Childhelp on the Hallmark, Home and Family Show. 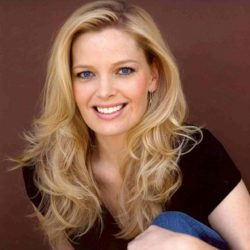 Growing up in Minneapolis, Minnesota, Melissa Peterman first made a name for herself when she was cast in the local production of “Tony and Tina’s Wedding.” She went on to perform in over 600 shows and became a staple on the comedy and improv scenes. She also starred as “Bonnie Wheeler” in ABC Family’s #1 rated comedy series “Baby Daddy,” which went on to win the People’s Choice Award in 2017. Melissa is well known for her starring role as Barbra Jean on the hit series “Reba”. Childhelp is honored to have had Melissa as the Master of Ceremonies for multiple Childhelp events. Her comedic and joyful spirit makes her an ideal celebrity ambassador spreading the word about Childhelp with her good humor and loving heart. Michael Douglas is an American actor and producer, primarily in movies and television. He has won three Golden Globes and two Academy Awards; as producer of 1975’s Best Picture, One Flew Over the Cuckoo’s Nest, and as Best Actor in 1987 for his role in Wall Street. 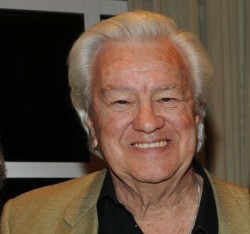 Douglas received the AFI Life Achievement Award in 2009. He is the eldest son to actor Kirk Douglas. Michael is currently working on Behind the Candelabra, a feature film about the life of celebrated pianist, Liberace. Michael Douglas filmed a PSA for the Childhelp National Child Abuse Hotline, as well as for the Childhelp’s 2nd annual Celebrity Golf Invitational in 2012. The Douglas Family Foundation has been a generous supporter to Childhelp and has helped raise funds and awareness for the precious children we serve. 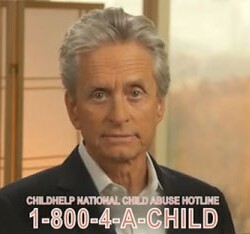 Click here to see Michael Douglas talk about the Childhelp National Child Abuse Hotline. 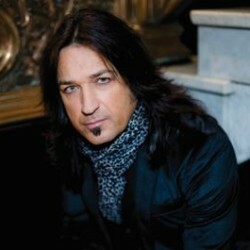 Michael Sweet is a chart-topping musician known best as the pioneering founder, songwriter, singer and guitarist of Stryper. For almost 30 years, this Christian rock band has broken down walls and seen unprecedented success. In addition to his very visible role in Stryper, Sweet is also a producer and songwriter, and in 2008 was even a member of the legendary band, BOSTON. Stryper, under the leadership of Michael Sweet, has sold over 10 million records worldwide, received a Grammy nomination, won a Dove Award and charted countless times on the Billboard Charts. As recently as 2013, Sweet again found himself on the Billboard charts reaching #2 on the Christian charts, #6 on the Rock Charts and #35 on the Album charts with Stryper’s critically acclaimed album No More Hell To Pay. Sweet is a new member of the ChildHelp family and is excited to share the message of his newest single “I’m Not Your Suicide,” from the album of the same title. He looks forward to a lengthy ambassadorship with ChildHelp. Nancy Grace is a television host, legal commentator, journalist, author and former prosecutor. She is the host of Nancy Grace, a nightly news, current affairs debate show on HLN and was also the host of Court TV’s Closing Arguments, as well as, Swift Justice with Nancy Grace, a syndicated courtroom reality show. Nancy co-wrote the book Objection! (2005), independently authored her first work of fiction, The Eleventh Victim (2009), and penned a second novel, Death on the D-List (2010). 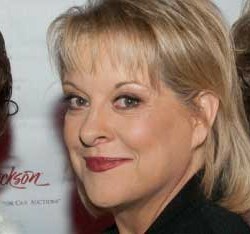 Nancy Grace received Childhelp’s Positive Impact in Media Award in 2012 and has been a longtime supporter and treasured friend to Childhelp. Nancy frequently mentions Childhelp on her HLN program, helping to elevate national awareness and educate viewers about Childhelp as a valid and incomparable resource. Childhelp founders, Sara O’Meara and Yvonne Fedderson, have been guests on the Nancy Grace show numerous times, and Nancy consistently and passionately advocates for the rights of abused children. Norm Crosby’s comedic style earned him the esteemed comedy title, “The Master of Malaprop,” as well as a star on Hollywood’s Walk of Fame. Norm’s television and film career include appearances in Cougar Club, Farce of the Penguins, Eight Crazy Nights, Diagnosis Murder, Roseanne, L.A. Law, The Love Boat, The Tonight Show with Johnny Carson, Adam-12 along with numerous others. Since 1983, and for many years following, Norm co-hosted Jerry Lewis’s MDA Labor Day telethon. He has visited both Childhelp Villages in California and Virginia, and has been the featured entertainer at numerous Childhelp events over the years. Most recently, Norm participated in a national PSA for Childhelp starring Betty White, Shaquille O’Neal, Buckcherry, Ron Masak, Anne Jeffreys and Childhelp founders Sara O’Meara and Yvonne Fedderson. Norm is always willing to go above and beyond for the precious children we serve! 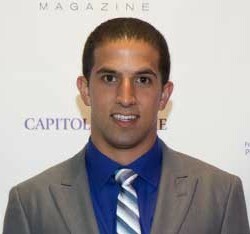 Paulie Harraka has been a Childhelp Ambassador since 2009. At that time, Harraka was a full-time NASCAR driver, and leveraged his position as a professional athlete to drive awareness and fundraising for Childhelp. Childhelp’s logo and hotline were featured on his race vehicles at multiple events and he wore a helmet designed by children at Childhelp’s villages. After winning 14 NASCAR races and a NASCAR championship, Paulie retired from full-time race driving. Even so, he has continued working with Childhelp, collaborating with National and with multiple Chapters on fundraising and volunteer initiatives. Paulie completed his Bachelor’s degree at Duke University and is currently pursuing his MBA at Stanford University’s Graduate School of Business. Rachel Boston born and raised in Tennessee, then moving to New York City to pursue an acting career, Rachel studied Shakespeare while at Fordham University and The Actor’s Center. Her breakout television role was in the NBC series American Dreams (2002) and she has since made guest appearances on The Closer, Las Vegas, The Daily Show, Curb Your Enthusiasm, Grey’s Anatomy, Rules of Engagement, Crossing Jordin and a starring role in USA network’s hit series In Plain Site. Rachel’s feature films include Ghosts of Girlfriends Past (2009), 500 Days of Summer (2009), The Pill (2011), and the upcoming feature It’s A Disaster (2012). Ron Masak trained in the Classics at CCC in Chicago, Ron has proven himself equally at home on stage or on screen with Shakespeare or Slapstick. During the course of his career, Ron has starred in 25 feature films and guest starred in some 350 television shows. His first TV role was on an episode of The Twilight Zone. He has also appeared on Bewitched, Land of the Lost, Magnum P.I., and is best known for his role as Sheriff Mort Metzger on Murder, She Wrote. Ron has also been dubbed the “King of Commercials” for his voice-over work and recently published a book called I’ve Met All My Heros From A-Z. Ron Masak has been involved with Childhelp for more than 30 years and has hosted numerous golf tournaments on our behalf. Ron has participated in the Childhelp National Day of Hope, and attended numerous other events to support fundraising efforts for our kids. Rosevelt Sings is using her music to give children silenced by abuse a voice. She performs moving songs of love, faith, family and fun at venues like the Herberger Theater, and through her growing YouTube Channel—Rosevelt Sings. She has collaborated with Stars from The Voice, America’s Got Talent, and Dancing With the Stars—to name a few. Rosevelt is delighted to be a Childhelp Youth Ambassador. She, an 11 year old girl with the voice of an angel and the heart of a warrior, wants to make the world a better place one child at a time. 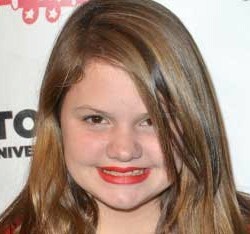 Savannah Robinson is a young singer/songwriter who was discovered on YouTube by Ellen Degeneres. After appearing on The Ellen Degeneres Show, she was immediately signed to Ellen’s record label, ElevenEleven. 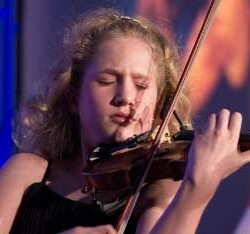 Savannah has since performed with Stevie Wonder, Justin Beiber, Jennifer Hudson and Katy Perry. She is currently recording her debut album, Believe with New Interscope/ElevenEleven which will be out toward the end of 2012. Savannah is also one of Childhelp’s youngest Celebrity Ambassadors. She has performed in various concerts to raise awareness for Childhelp and was the featured performer at Childhelp’s 2012 Drive the Dream VIP cocktail reception in Scottsdale, Arizona. Savannah has also performed at Childhelp’s Merv Griffin Village holiday show in Beaumont, California. Shaquille O’Neal is a retired professional basketball player, former rapper and current analyst on Inside the NBA. Throughout his 19-year career in basketball, Shaq used his size and strength to overcome his opponents for points and rebounds. He first started his basketball career with the Orlando Magic, leading the team to the 1995 NBA Finals. He then joined the Los Angeles Lakers where he won three consecutive championships, later winning his fourth Championship with the Miami Heat. 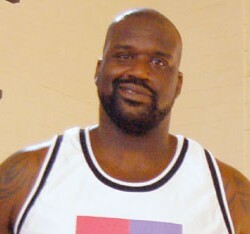 Shaq rounded out his later career with the Phoenix Suns, the Cleveland Cavaliers and the Boston Celtics before retiring. Shaquille O’Neal has supported Childhelp through various social media campaigns using his outreach on Twitter and Facebook. He also starred in a 2009 Childhelp PSA called “Shaq Dreams” and co-starred in a recent Childhelp PSA with Betty White, Buckcherry and Childhelp founders, Sara O’Meara and Yvonne Fedderson. Tony Dovolani is an Albanian-American professional ballroom dancer and instructor known for his involvement on Dancing with the Stars on ABC, where he and his partner, Stacy Keibler finished in third place. He has also partnered with Sara Evans, Leeza Gibbons, Jane Seymour, Susan Lucci, Nancy O’Dell, Kathy Ireland, Kate Gosselin, Audrina Patridge, Wendy Williams and Chynna Phillips. Tony was featured in the film Shall We Dance, where he coached Jennifer Lopez. An avid golfer, Tony was a celebrity guest at Childhelp’s 2nd annual Celebrity Golf Invitational 2012. He continues to support Childhelp through various functions and media opportunities. Donate now to help a child in need!